For tickets call +44 (0) 20 7637 7274 or purchase online with your paypal account here. For any other questions please contact GRAD at info@grad-london.com. 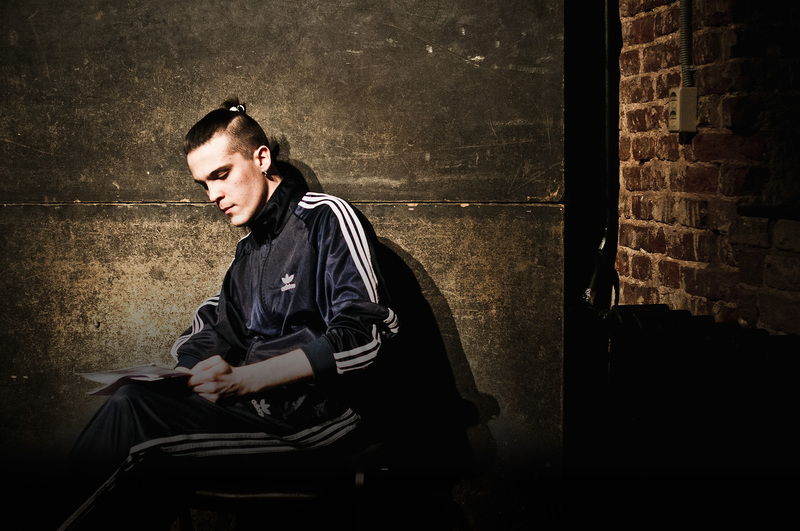 Created and performed by Talgat Batalov, Uzbek is an autobiographical solo-show that tells the story of Batalov’s own experience immigrating from Tashkent to Moscow at the age of 19. In the show, Batalov describes how he came to understand his own national identity as a Muscovite-Uzbek of Tatar descent. He bills the show as belonging to the custom-made genre, ‘documentary stand-up’, and claims the style of performance to be inspired by American comedians like Lenny Bruce and Bill Hicks. In the tradition of his declared comedic predecessors, Uzbek deploys a distinctly sardonic tone in its depiction of the corruption and absurdity of modern Russian bureaucracy. By presenting his audiences with his actual immigration records, Batalov’s play raises important questions around the relationship between official documents and national identity in the post-Soviet space. Uzbek has toured extensively throughout Russia and Eastern Europe and, in 2013, was nominated for a Golden Mask award in the category of ‘experiment’. Uzbek will be performed in Russian with simultaneous interpretation in English. Uzbek will be performed as part of the multidisciplinary arts platform Peripheral Visions. A special project of the Sixth Moscow Biennale, Peripheral Visions features an exhibition of works by Moscow-based artist Olga Chernysheva as well as a series of three documentary theatre productions on themes of immigration and social inequality. For more on the Chernysheva exhibition click here. For the full Peripheral Visions theatre programme click here.